We all think it is important to do important things. Most of us can remember some big thing in our lives that took all of our attention and made us anxious for night after night. I have the first half of Psalm 127 memorized (Unless the Lord builds the house...). It dogs me in those periods of my life when I have such great plans that I bulldozer things to the edge of hubris. I have a problem with Psalm 84. It’s one of those poems that doesn’t make sense once you tear it apart. “My temple is a place where even a swallow finds a place to nest,” makes as much sense as, “My love is like a red, red, rose.” Howling, just feet away from the altar in Solomon’s temple, were lines of sacrificial sheep and boxes of doves, ready to be slaughtered. Temple sacrifice, up until 70 AD, was madness, bleating sheep, and nasty priests. Blood flowed on the rock where Abraham once bond Isaac. Did I mention that child abuse is one of the problems that the church is still dealing with? Because they don’t provide the evangelical fervor of Paul, or the face to face encounter with Christ of the Gospels, many pastors don’t preach the Psalms. Yet, the Psalter provides the steady middle way of spiritual formation. Few people leave worship thinking that the responsive reading of Psalm 91 was the best part of the hour, but in their heart, the psalm is often the most resonate voice. 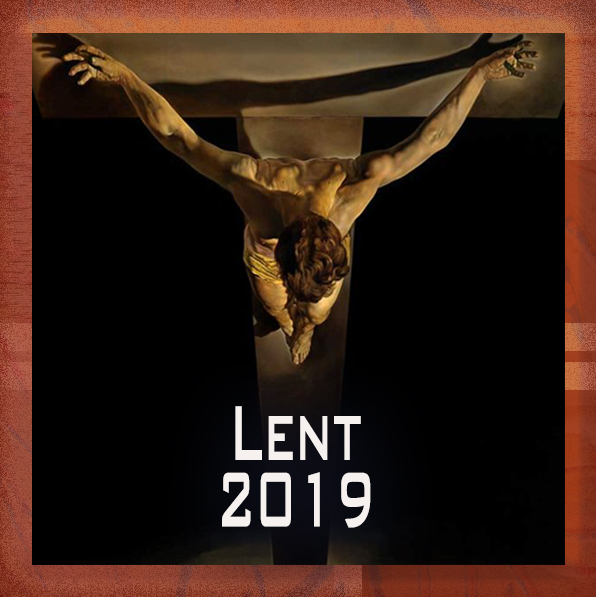 So, it may be good to not only make reference to the psalms throughout Lent, but also wrestle with how these ancient poems help us to grow as Christ’s disciples and spiritually integrated persons. If you focus is on the Gospel narrative for the first week of Lent, then the best thing you might say about Psalm 91 is that it provides the inspiration for the Devil as he tempts Christ. Out of context, “No harm will come to you… you will not strike your foot against a stone” (Psalm 91:10-13), looks like the makings of a dare. “If you have faith, then you will____,” (just fill in the blank). Who doesn’t want to test their God and go walking on coals or handling snakes when they are told, “you will tread on cobras and lions [without harm]”? Prayer should interrupt our lives. This is something you learn when you travel in other lands. In the middle-east, the call to prayer wails from a minaret and suddenly people stop what they are doing and pray. In Asia, the crowds part and you see orange robbed young men with their begging bowls. Life can be interrupted by the search for enlightenment. These men have taken a hiatus from their career path to pray. There is something universal about Psalm 130’s, “Out of the depths I cry to You… be attentive to my supplications.” Unfortunately, we have segregated our prayer to an hour on Sunday and a building. I want a religion that meets me on the street. Psalm 130 is a very personal litany of prayers; each line the breath of the human soul. This forms a one-two punch when matched with Mark 5:24, where a woman interrupts Jesus — when he is on the street and very busy — with her supplication. Out of the depths, I cry to you — the creator and interrupter of my existence. I like Psalm One, especially with the clear progression of verbs found in the RSV …walks not in the counsel of the wicked, nor stands… nor sits. One imagines a young person listening first to some bad advice, then finding himself loitering with the wrong crowd, then in time, becoming fully stuck in an addiction, financial folly, or illicit lifestyle. Wickedness is an active, dynamic thing, until it is not. It is easier to steer a life away from tragedy while it is yet unformed. Be careful the rut you choose, you’ll be in it a long, long, time. I’ve been thinking a lot lately about goal-setting and the role that visioning should play in our personal lives. It seems to me that the wicked are much more intentional about marketing long range self-help than are the compassionate. The wicked begin their sermons with, “You can do whatever you fix your mind to do.” Jesus began his sermon, “blessed are…” He focused on forming the generous heart in his disciples first, before he told them that the goal was to make disciples of the whole world. He began with inner peace and rooted spirituality (taught people how to sit), then branched out to spreading salvation/healing (walk to all nations).